Heaters, whether in the home or a commercial establishment, do occasionally need repairs or replacement, and they work their best when properly maintained. Luckily, you have an expert on your side to help you with all your heating system needs: Cote’s Mechanical. If you are looking for a new installation or just want to get your old system up and working its very best, let us work with you. Every member of our heating team has experience fixing all kinds of heating problems, so we can get your heater up and working quickly. Cote’s Mechanical provides services for all heater types in the Denton area. Let us check out your unit and put together a maintenance plan to keep it working smoothly. In addition, if you need repairs or a replacement for your unit, we can help you with that as well. We are your Denton area heating experts. If you need heater repair in or around Denton, Texas, reach out to us at Cote’s Mechanical today. We offer emergency HVAC service as well as standard service to get your heater up and running again. Whether you are looking to add a heater to a new home or you want to replace a heater in an older property, Cote’s Mechanical has a solution for you. We have experience with many common types and brands of heaters, so no matter what type you want installed, we can help. We know that when you get your new heater installed, you’ll be happy to be comfortable and warm – with the confidence that comes with our 100% money back guarantee. 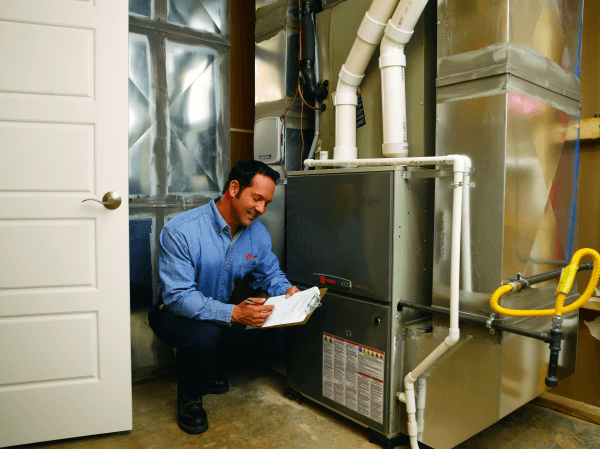 Do you realize how important heater maintenance is when you’re taking care of your home or business? The reality is that this simple task can not only keep your system running longer and stronger than it otherwise would, but it will likely also improve your system’s efficiency. What could be better than that? Heat pumps are a type of machinery used for both heating and cooling. As a part of the HVAC system, the heat pump removes either the hot air (in summer) or the cold air (in winter) and allows the rest of the system to address the temperature control much more accurately. You’ll find that with a heat pump in place, you stay comfortable, and your energy bills stay down. The team of professionals at Cote’s Mechanical has the knowledge to expertly install, replace, or repair your heat pumps as needed. Heating ducts run under your floors and above your ceilings and are an often-forgotten part of the heating system. These ducts collect dirt, dust, and other residue over time, but a simple cleaning will make them good as new and let you breathe fresh, clean air once more. If you have questions regarding your duct system, don’t hesitate to give us a call. HVAC services entail a number of different elements. From heating to air conditioning to ductwork and everything in between. The reality is that all of these elements work together to make the system function correctly. So if something seems “off,” the best thing to do is to let the experts sort things out. Even a seemingly small problem can turn into something big if it’s not addressed right away. Taking care of things right away may save you money, save you time, and can even make your system run more efficiently. Contact Cote’s Mechanical today for more information about our heating and HVAC services. We are always glad to help you with your home’s HVAC needs.